Have you discovered garlic scapes yet? While many garlic growers cut off the scapes to encourage better bulb growth, these flower stalks -- which grow on certain varieties of garlic-- are becoming more popular with chefs and home cooks alike. Garlic scapes (also referred to as garlic stalks) may not be that widely known as an ingredient, but they are as versatile, delicious, and easy to use as spring onions. Plus, they impart a delicate garlic flavor to whatever foods they're combined with, which helps to enhance the other flavors in a dish. Are you curious about this crunchy, green, slightly garlicky tasting ingredient? Learn more about what fresh garlic scapes are, and how they are used. Garlic scapes can be included, both cooked and raw, in a variety of delicious recipes, and we have collected our favorites here. From a delicious, nutty garlic scape pesto, to yummy soups, salads and side dishes, you will be absolutely delighted by all the ways you can start working inexpensive garlic scapes into your kitchen ingredient rotation. 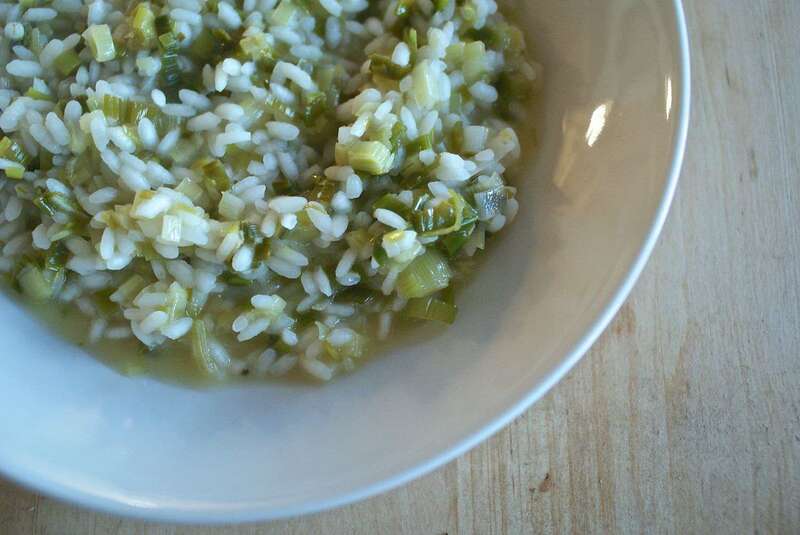 This addictive green garlic risotto recipe is a wonderful way to enjoy the delicate flavor of garlic scapes in a comforting entree. Vegetarian-friendly when made with vegetable broth instead of chicken, you can put this warming, homey meal on the table in just 30 minutes from start to finish. Italian arborio rice is simmered down with butter, wine, and broth until it's creamy and tender. Then shredded Parmesan cheese is added for savory, cheesy goodness. It's springtime in Italy on a plate. Want to add something special to your same-old side dish of greens? A few chopped green garlic scapes add a springy sweetness to cooked collard greens, kale, spinach, or Swiss chard. This greens with green garlic and prosciutto recipe feature a salty, savory crunch. You can omit the meat, though, for a vegetarian and vegan-friendly side dish. Looking for a gluten-free first-course recipe for your next dinner party, or a homey starter to family meals? Each ladle of this delicious gluten-free garlic scape soup is filled with the warmth and green of summer. Farm fresh garlic scapes are paired with plenty of green asparagus in this creamy, yet light, summertime soup recipe that has a hearty texture, thanks to grilled vegetables. Asparagus and garlic scapes are grilled with olive oil, salt, and pepper before blending with the soup base, to add a smoky, summer flavor to the finished soup. Garlic scapes give this tasty dressing a light garlic flavor and beautiful green color. This super easy garlic scape dressing recipe is a great alternative to the usual Green Goddess dressing, and adds welcome pep to iceberg lettuce and tossed green salads. Once you have enjoyed this garlic scape and basil pesto that tastes wonderful on freshly cooked pasta, you may throw away your other pesto recipes. Green garlic scapes are combined with fragrant basil, pine nuts or walnuts, Parmesan cheese, olive oil, and salt, to create a homemade sauce that's delicious on pasta, grilled meats, or just spread on a toasted baguette. This recipe freezes well, so you can make a big batch on the weekend for quick and easy weeknight meal preparation. 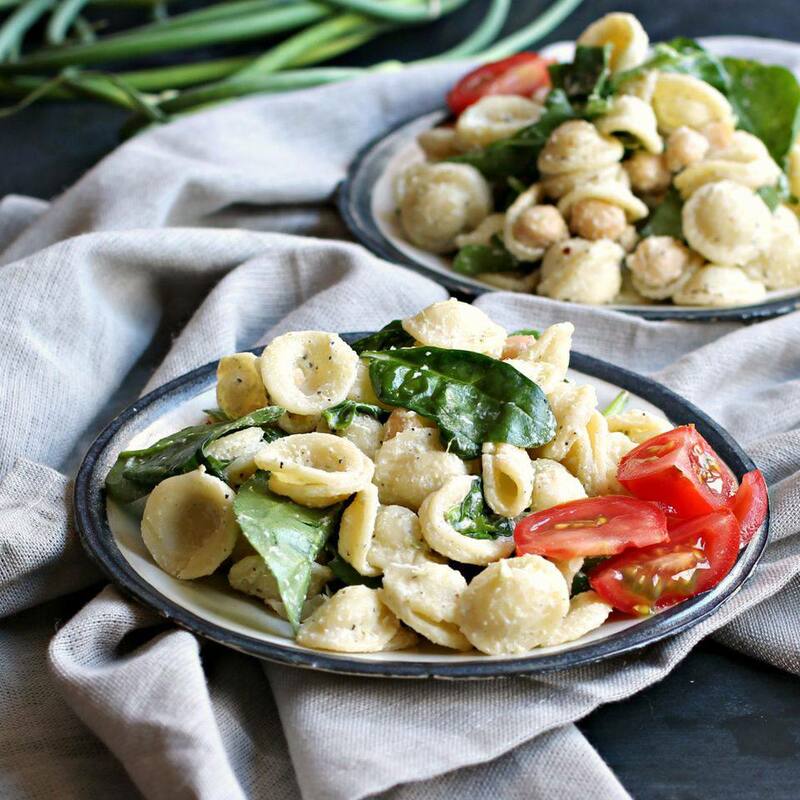 This pasta salad with spinach, chickpeas, and garlic scapes is a go-to recipe that is dressed with a light homemade vinaigrette dressing. It's a recipe ideal for cook-outs, picnics, and other outdoor parties this summer, when you don't want to leave mayonnaise-based salads sitting in the sun. Classic pasta salad gets a delicious dose of Middle Eastern flavor, with the addition of chickpeas, za'atar, tahini and minced garlic scapes in the dressing. Pickled garlic scapes are an easy way to keep the lightly garlicky flavor of garlic scapes around a little longer. This "refrigerator pickle" recipe is easy to make and keeps for weeks. The pickles will get more tender over time, but their flavor will stay garlicky strong. This is a great condiment recipe that adds flavor to grilled meats, vegetable platters, or a classic relish tray.